The light, robust Feldherr Storage Box FSLB310 for safe storage and transport of your miniatures. 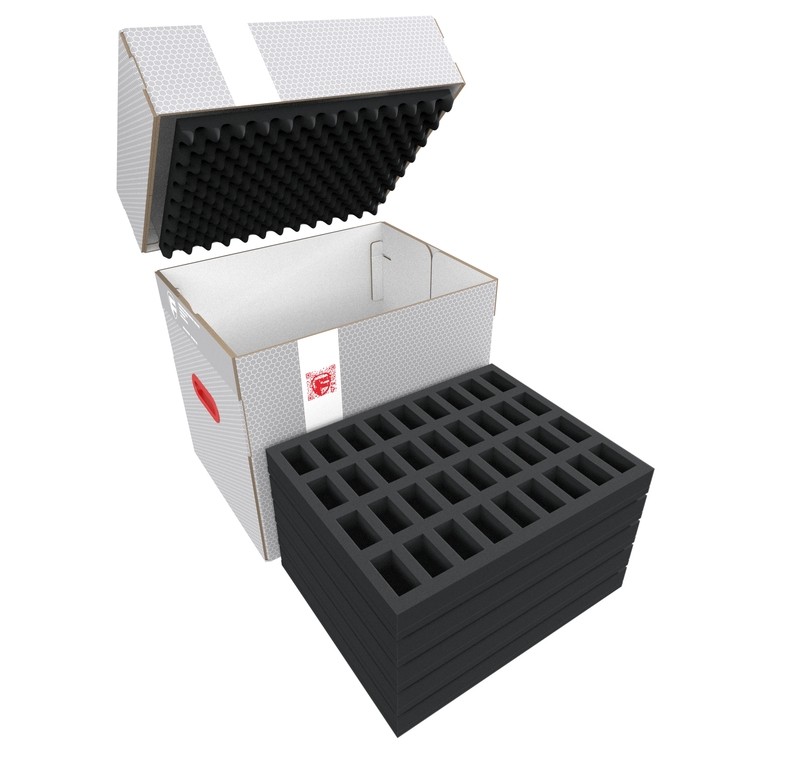 It comes filled with 8 foam inserts for standard miniatures on 25 mm bases, and is therefore ideal for storing your infantry and other classic hero and monster figures from different tabletop and board game systems. 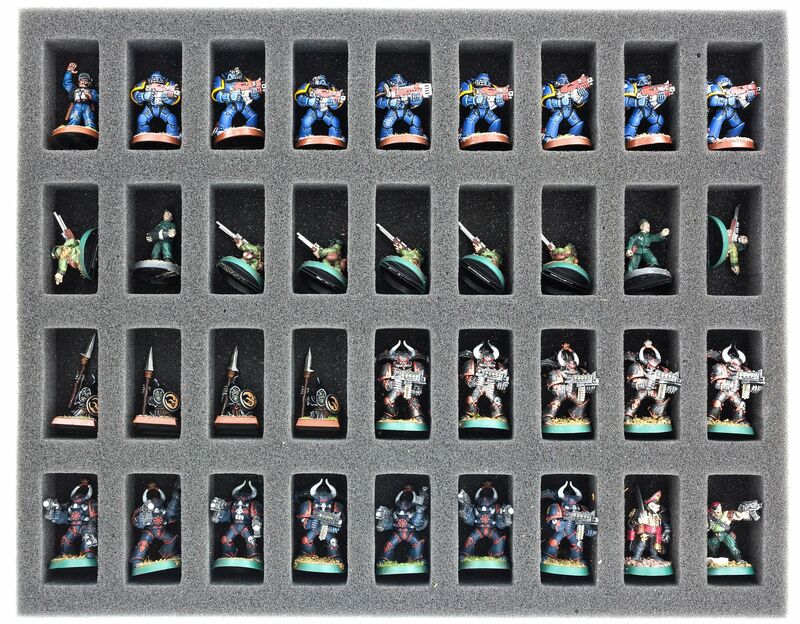 35 mm standard trays each with 36 compartments: Particularly suitable for neat and safe storage of common infantry and other board game and tabletop miniatures on 25 mm bases. 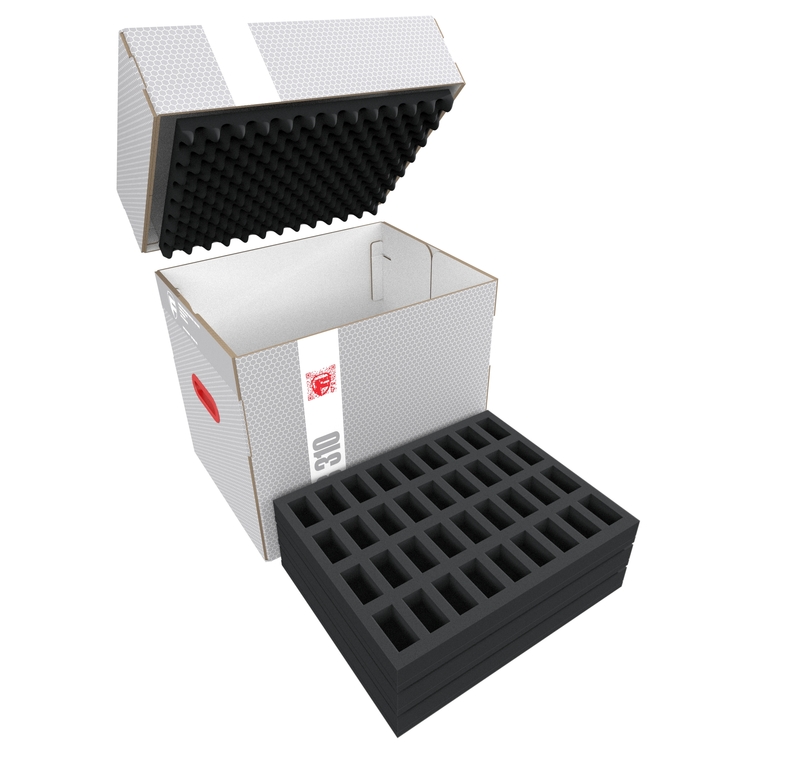 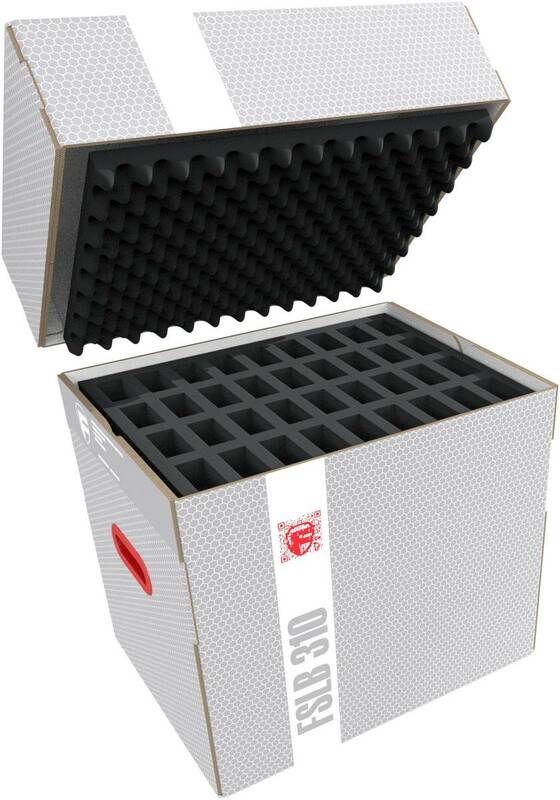 The convoluted foam mat provides additional stability and better protection for your miniatures during transport.